It’s been said that presidential elections are “the Super Bowl for national news networks.” If you have ever doubted the authenticity of that aphorism, look no further than what CNN rolled out yesterday to its adoring advertisers. That would be its latest ad rates sheet. It seems that everywhere the GOP 17-ring circus rolls up, headlines and PR follow…and so do the ratings. That got CNN thinking: with Fox News still throttling its contemporaries in ratings, CNN wanted to take advantage of its upcoming GOP Debate on September 16 by charging a premium to broadcast a commercial on its airwaves. How’s 40 times its usual ad rate grab you? And for that price gouging, CNN would like to thank Donald John Trump. The cartoonish hype machine that many believe is making a mockery of an already mocked-up election process brings in gold for any TV network that discusses the guy. 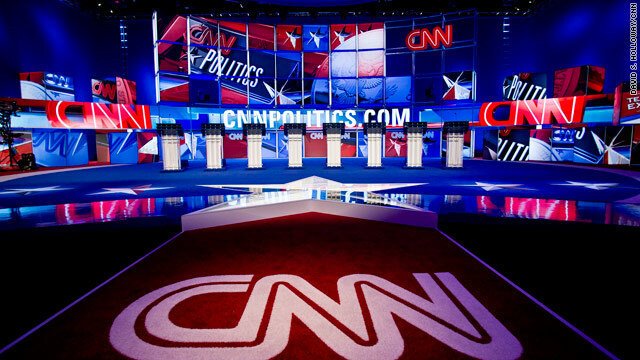 According to an AdAge report, CNN is demanding and laughing asking for as much as $200,000 for a 30-second slot in the debate’s commercial schedule, up from the typical $5,000. In addition to raking it in here, CNN “is also asking for $50,000 to $60,000 for a commercial” in what American deems as the “spares debate” that airs prior to this one. Trump may not be bringing ethics, candor, and a sense of nationalism to the 2016 presidential election, but you have to give him one thing: he is bringing in the money.